Black isn't back, it never went away - see our Black Diamond Ring for proof. 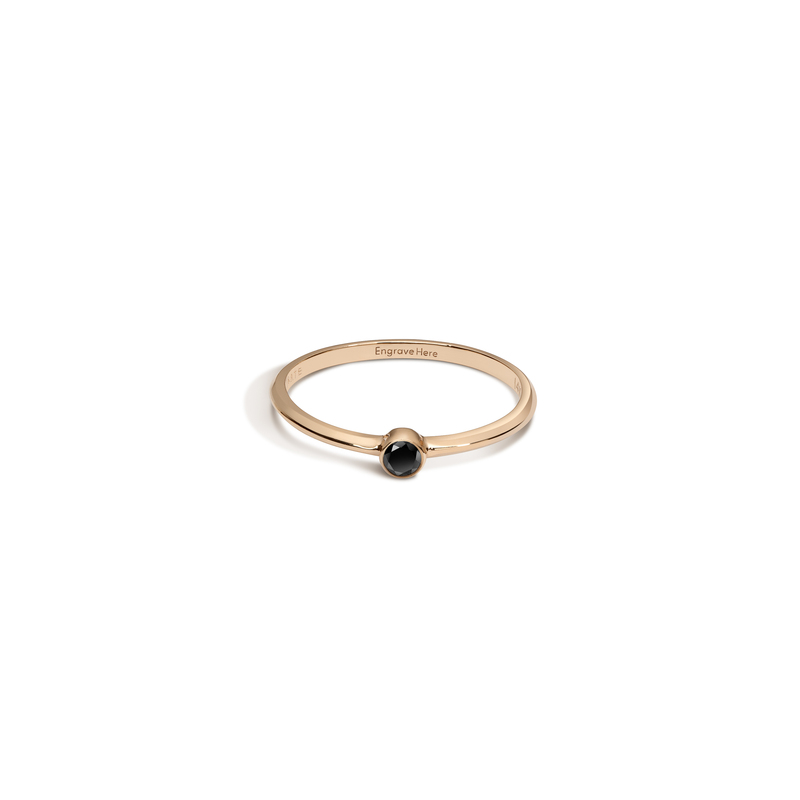 $280.00 USD at AUrate vs.
An enigmatic black diamond steals the spotlight in our softly spoken Black Diamond Ring. Tucked inside a smooth cylinder of gold, the round-cut gem glints alluringly. Restrained and dainty, it's perfect worn alone or stacked with other rings for extra texture. A bezel-set diamond is held aloft atop a closed gold ring shank. Featuring one exceptional quality diamonds weighing 0.11 carats — as rigorously sourced as it is spectacular to look at.